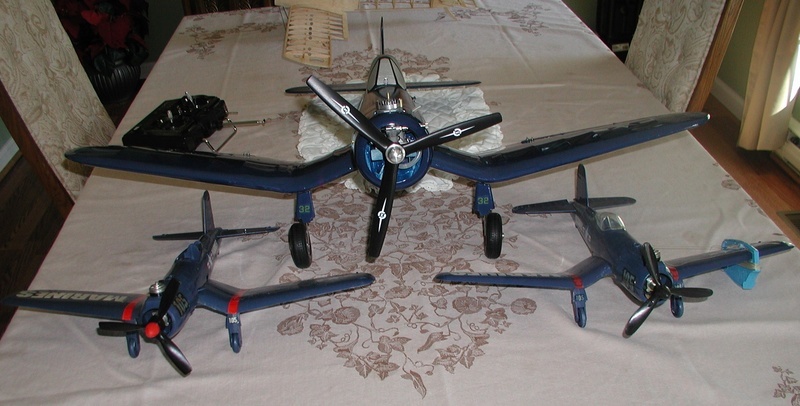 Digging around the loft I found these 2 Corsairs, one belonging to my son, the other missing the canopy, mine. I find the profile confusing. 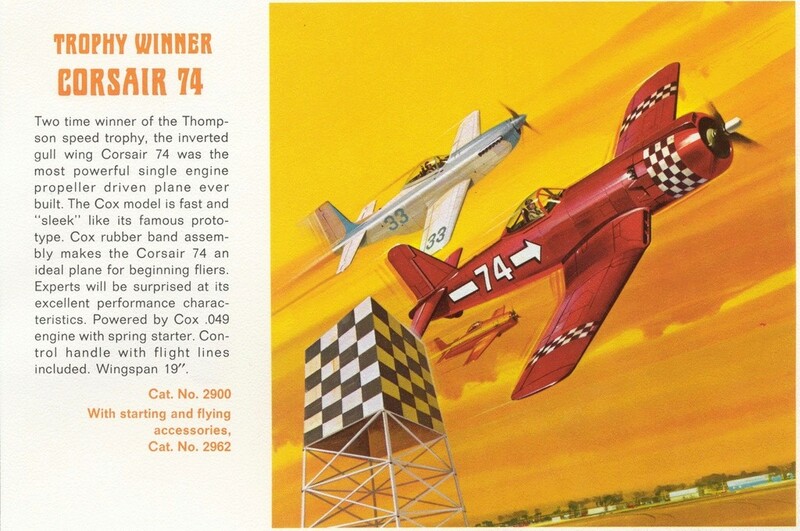 I can't find a picture of any Corsair without the "razor back". 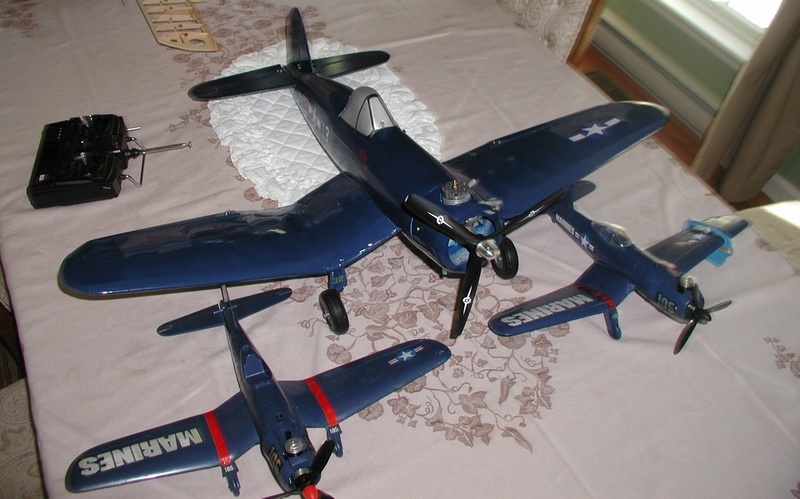 The P-51 Mustang lost it's razor back when it went to the bubble canopy, but the Corsair didn't. Cox did a much better job scaling the A1 Skyraider. Anyway my son says that it fly's great. Both had split their rubber bands but I found some that fit perfectly, although I see that his has popped the new one. Good idea is to remove the bands before storage. Anyone have a spare canopy? Nice RC version, Bob do you have a vid of the RC one flying?? 1/2A Nut wrote: Nice RC version, Bob do you have a vid of the RC one flying?? Not mine, but a nice flyer. Mine hasn't even seen fuel yet, and it will be my son at the controls when it finally goes airborne. I will be the camera guy. Thanks for the link Mark. I have been researching Corsairs that were used during WW2 and wasn't aware of that one. Seems it was developed to late to get into action. Maybe Cox should have detailed all of them as Goodyear racers. Looks like they raised the vertical stab to off set the loss of the turtle deck. I will be on the lookout for one. I wonder if it was because Wen-Mac had a Corsair that they thought to be different? I'd prefer the F4-U version myself. Yup I had a later variant of that same model. 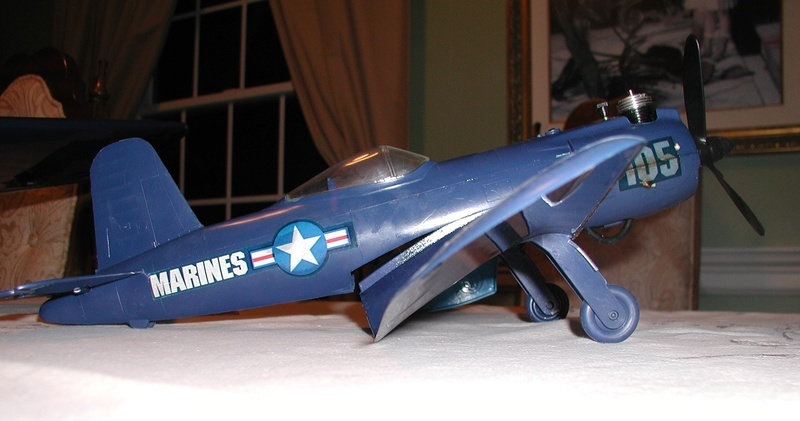 The the Goodyear Corsair or F2G Super corsair was powered by the 'Corn Cobb' or P/W R4360 Wasp Major. It was a nasty bird.